Eleven years ago I received this CD as a gift, and it never gets old. I was embarking on a solo camping trip up to the North Rim of the Grand Canyon. The friend who gave it to me hoped it would help hold the intent of the trip—and indeed it did! 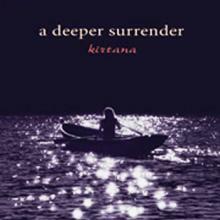 The sweetness of Kirtana’s voice is enough in itself, and the love songs she sings automatically touch something inside. When I realized that she was disclosing the nature of her relationship with the Divine Beloved, it deepened the effect even more. Throughout my journey north and then home, this sacred music compelled me to witness evidence all around me and within me of That which permeates everything. Available on Amazon, iTunes and CD Baby.